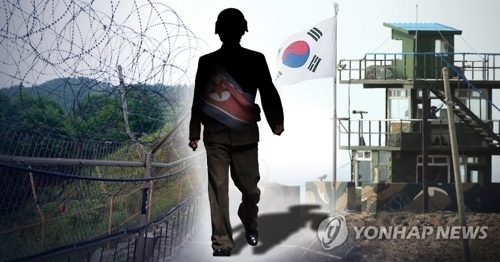 SEOUL, Dec. 21 (Yonhap) -- A North Korean soldier fled to South Korea through the Demilitarized Zone (DMZ), the inter-Korean land border, Thursday, followed by gunfire from both sides, the South's military said. Roughly 40 minutes later, there was the sound of several gunshots from the North, but no bullets were found to have crossed the border, he added. An official tally of the JCS shows that 15 North Korean people, including four soldiers, have fled directly to the South this year, versus one soldier and four civilians in 2016.